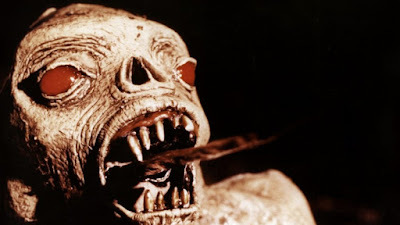 XTRO the infamous classic sci-fi horror film loved by astute fans around the world is now available for streaming in a brand new hi-def version. Following its successful theatrical release in Japan and the Blu-ray release from Second Sight Films (NEWS HERE) in the UK, which reached No. 1 on the Amazon UK horror chart, the new version has landed on YouTube, Amazon and Google Play worldwide, excluding only the US, UK, Germany and Japan. The film has been engaging and mystifying audiences since its original release in 1982 and has been lauded as one of the best B Movies ever made. The film stars Philip Sayer (Shanghai Surprise), Bernice Stegers (Four Weddings And A Funeral), Danny Brainin (Yentl), Maryam D’Abo (The Living Daylights). Directed by Harry Bromley Davenport, the film was produced by Mark Forstater. How about a little XTRO music tribute to whet your appetite for the film?